Occupation: Chairman of Board, Uwajimaya, Inc.
Board Member, National Japanese American Museum; Board Member, American Diabetes Association (Northwest Leadership); Board Member, Kawabe Memorial House. Tomio has a long history of leadership in the Seattle community and has won numerous awards and recognition for his business leadersihp and extensive volunteer involvement in civic and charitable affairs. His current wife Jenny Yan Li is from China. He and his first wife Lovett (1991) had a son Tyler and daughter Denise. Their first grandson, Hieu, was born in 2007 and second grandson Minh in 2010 and first gradndaughter Chelsey in 2012. Tomio earned a degree in Mechanical Engineering from the U.W. in 1961. He joined the family business, Uwajimaya, Inc., in 1962 after the passing of his father, Fujimatsu Moriguchi, and is currently Chairman of the Board. Tomio led the successful real estate development of Fujisada Condominiums and Uwajimaya Village complex in Seattle’s International District. Randy has over twenty-five years experience as an account executive and product/project manager in the telecommunications industry. For the past eight years, he has created and edited contracts, presentations, Web sites, user manuals, and business cases for small startups and established companies. He possesses a B.A. and M.B.A. and a Certificate in Technical Writing/Editing from the University of Washington and is affiliated with Phi Beta Kappa and Alpha Kappa Sigma honoraries. Randy resides with his wife Cheryl in Bellevue, Washington. Occupation: President, Pacific Century Inc.
Yohji has 47 years of experience in design/engineering practice, sales, contract negotiations, international trade, personnel management, financing/accounting, and broad areas of small business management. He has a B.S. in Engineering from Waseda University in Tokyo and a M.S. in Chemical Engineering from the University of California, Berkeley. Yohji is a professional engineer certified by the State of Washington. He lives on Mercer Island with his wife Yoko, and has two grown children and two grand children. He is a serious weekend golfer and runs five miles on a regular basis. Volunteer Work: Board Member, Asian Counseling and Referral Service; Robert Chinn Foundation; Board Member, KUOW. 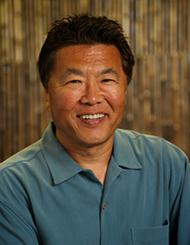 Mick Matsuzawa has over 30 years of small business development experience, has worked with hundreds of small and large businesses, and is an advocate for minority- and women-owned businesses. Mick has a B.A. in Communications from the University of Washington and a M.B.A. from the University of Tennessee. He lives in Everett with his wife, Patricia, and has three grown children. Occupation: Relationship Manager, JPMorgan Chase Bank. Past Work Positions: International investment and banking; General Manager, Amanasu Group, venture capiptal firm; specialized in M&A and R&D and assisted two companies to IPOs. Owner, CUDA Consortium International, Inc., specializing in business cross-cultural development, start-up business consulting, and event planning services. Eri’s passion is to create places and opportunities for minorities and expats to appreciate their heritages and to support each other. Current Work Positions: King County Board of Equalization; Ko&Co, nonprofit and small business consultant; free-lance writer. Volunteer Work: US-Japan Council and Japanese American Leadership Delegation; Interim Community Development Association Board of Directors. Elaine has a long history of leadership and involvement in the local community. Elaine has a B.A. in Communications from the University of Washington and a M.B.A. from City University, an alumnus of Harvard Business School’s Executive Education Program, and a recent inductee into the U.W. Department of Communications Alumni Hall of Fame. One of her current passions is leading annual group tours to Japan and continuing to improve her poor Japanese language abilities. She is the former founding Executive Director of the Hokubei Hochi Foundation and continues to assist in a volunteer capacity.